The collaboration organisation across the North of England’s most research intensive universities has outlined its new vision for the next four years – to help promote the region’s world-class capabilities and encourage even closer working relationships between academic innovation, society and industry. The N8 Research Partnership (N8) is the collaboration body for the universities of Durham, Lancaster, Leeds, Liverpool, Manchester, Newcastle, Sheffield, and York, and aims to maximise the impact of this research base to enable business innovation and societal transformation. N8 creates programmes involving a critical mass of world class academics which form networks of innovation excellence with partners in other sectors – to drive investment and economic growth. Collectively, the N8 universities undertake more than £650m of research income each year and employ more than 18,000 academic staff, forming the largest research-pooling partnership in the UK. N8 works closely with industry to ensure businesses have an effective and single entry point to access world-class research from these leading universities. 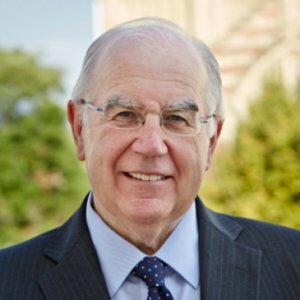 Sir Alan Langlands, Vice-Chancellor of the University of Leeds and chair of N8, said: “N8’s role is to promote deeper collaboration between universities, business and society. We seek to establish innovative research capabilities and programmes of national and international prominence and drive economic growth by generating income and supporting jobs and new businesses. “Our track record demonstrates that we are in a strong position to help ensure that the UK’s world class research programme remains relevant and viable despite constraints on public funding budgets. “We also have a valuable and important part to play in creating a Northern Powerhouse and by working together and with industry, N8 universities have already shown that the vision of a Northern Powerhouse driven by cross-sectoral innovation is achievable. “We will help by pioneering collaboration, knowledge exchange and engagement activities that establish Innovative Communities with business and society. As we drive our new strategic priority areas forward, N8 will continue to establish programmes of world class interdisciplinary, collaborative and translational research. These will deliver real world impact regionally and nationally. N8’s new outlook comes as the organisation refreshes its website for easier collaboration for business and universities. It is now more interactive and mobile enabled with clearer navigation and improved functionality and imagery. There is also more comprehensive information on the N8’s main areas of research – Urban and Community Transformation – including Policing Research, Urban Living, and Arts and Culture; and Agri-Food – including Sustainable Food Production, Consumption & Health, and Resilient Supply Chains. N8’s strategy also focusses on areas of growth notably in Life Sciences, and in Digital Creativity. N8’s achievements to date include becoming a leader in driving efficiency through partnering and equipment sharing, having launched a database to map the research equipment across universities in the North, and shared facilities such as high performance computing. The N8 High Performance Computing (HPC) facility was launched in 2013 to provide industry and university researchers access to high performance computing. In 2012, N8 established the Industry Innovation Forum to instigate new cross-sectoral collaboration on topics where there is significant industry-led demand for new insights and research capability. And earlier this year, multi-million pound funding from HEFCE was awarded to N8 to advance food security, and policing research areas across N8 institutions and with regional and national partners. 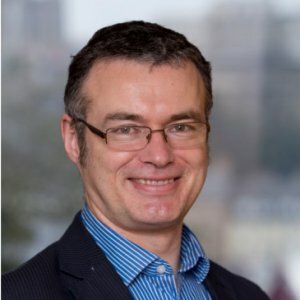 Dr Peter Simpson, Director of N8, said: “We have now established ourselves as a credible and dynamic organisation that is helping to address some of the big challenges of the 21st century, in Agri-Food and Urban innovation. N8 is currently recruiting a new Academic Director for its Agri-Food Resilience Programme, based at the University of York. The role will have overall responsibility for the development and management of the five-year, cross-institution programme which aims to transform food security research in the UK. N8 is also currently recruiting an Innovation & Engagement Manager, based in Manchester to facilitate collaboration between academia and industry partners.